for monitoring & improving reliability. A wide range of hardware and software designed as a key part of our condition monitoring programmes, and are essential for maximum service life. 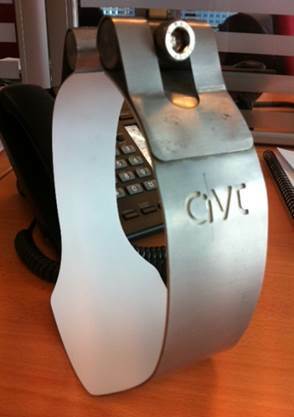 AVT has developed a range of unique products, while assisting our clients via our pipework vibration analysis plans. Our clients benefit from AVT Reliability's vast problem solving experience and from a comprehensive range of proven solutions to all common pipework vibration problems. A universal small bore connection bracing system known as Easy-Brace®, which is guaranteed to fit any small bore connection geometry. The 316 stainless steel design incorporates angular and linear adjustability meaning that the system will fit all known small bore connection geometric configurations. Furthermore, the 'mix and match' nature of the system means that the brace stiffness can be easily optimised for each application, making it easy to add a third or fourth leg or to add additional cross-bracing as required. Fasteners include Nord-Lock anti-vibration washers. Brace components can be supplied in kit form. 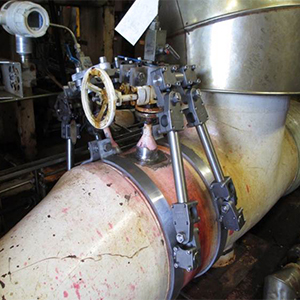 The brace split clamps are isolated from the pipe using Tico-Flex®. Designed to incorporate a trinagular truss arrangement, offering high stiffness in all planes. The 'Dynamic Vibration Absorber' cancels out resonant vibration. The product design has a simple stand-alone design that requires no welding, which can be used in locations where there is no suitable surrounding steelwork. It can be scaled to a range of pipe sizes, forces, and frequencies. For pipe locations where dynamic restraing is required and the pipework must also be free to move statically due to temperature changes. AVT is a UK distributor for specialist supplier GERB of Berlin, suppliers of visco-elastic damping solutions for main-line pipework. Provide dynamic restraint whilst permitting thermal movements. Work over a wide range of frequencies. Protect against steady-state and transient shock events. Work in all degrees of freedom. A unique main-line pipe fretting eliminator The AVT Easy-Shim™ is designed as a sacrificial protective strap to prevent fretting damage to main line pipework resting on sliding supports. Made from corrosion resistant 316 stainless steel with isolating liner. 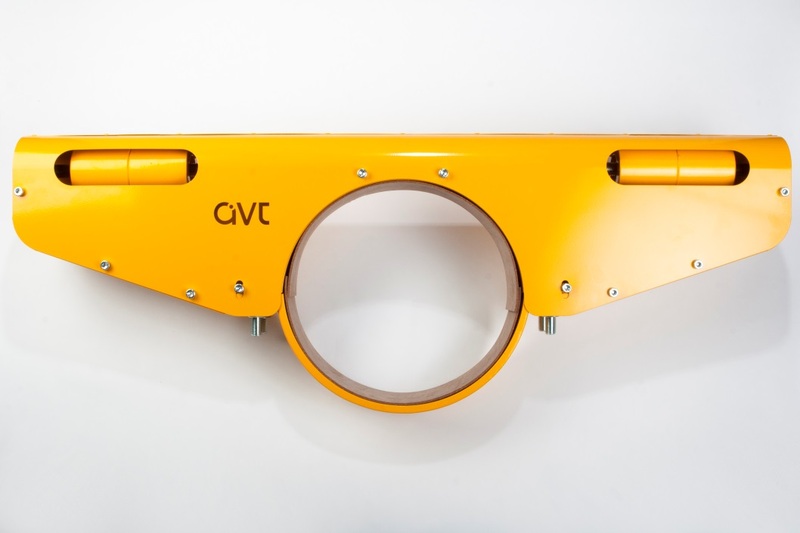 AVT works closely with Industry leader Carpenter & Paterson to provide fixed pipe supports. 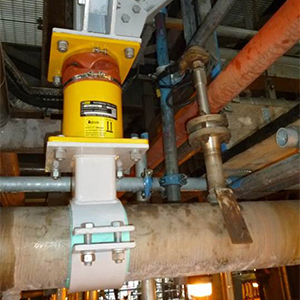 These provide the ultimate dynamic restraint, however they can only be used in locations where the pipework thermal expansion will not cause problems.